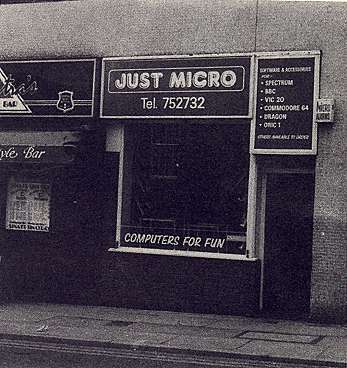 Notes Originally starting as small computer games shop ''Just Micro'' in Sheffield UK, Gremlin Graphics Software Ltd was established in April 1984 by Ian Stewart and Kevin Norburn. This was probably the direct result of the computer shop attracting local talented 8-bit bedroom coders such as Tony Crowther, Pete Harrap and Shaun Hollingworth. Consequently, for some years Gremlin focused on the 8-bit games market before turning their attention to 16-bit platforms in the late 1980s. In the early 1990s, Gremlin enjoyed major success on the Amiga and other 16-bit platforms with the publication of flagship franchise games ZOOL, LOTUS TURBO and PREMIER MANAGER. In 1994, they were renamed to Gremlin Interactive as they widened their net to capture the more mature PC/console market also. In 1997, Gremlin acquired legendary developers DMA Design (creators of LEMMINGS and GRAND THEFT AUTO). In 1999, Gremlin themselves were reportedly acquired by Infogrames for £24 million and, in 2000, were renamed to Infogrames Sheffield House. A few short years later in 2003, the studio were forced into closure by parent company Infogrames. Gremlin Interactive's back-catalogue of games and name have since been acquired by original founder Ian Stewart's new company Urbanscan.